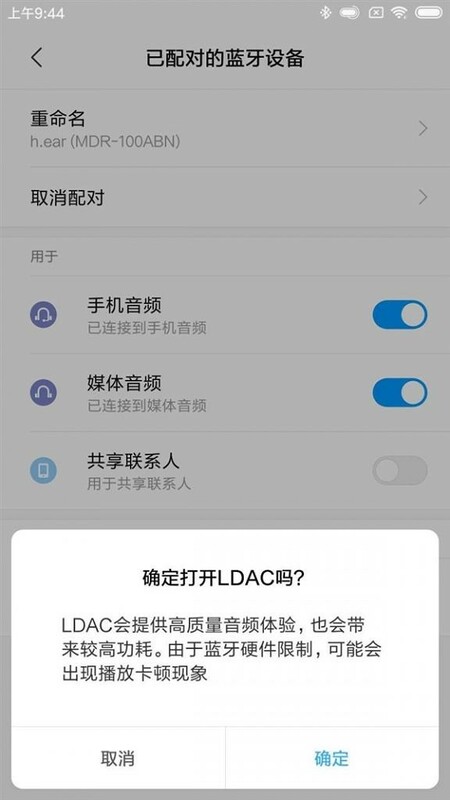 All Xiaomi phones running on Android Oreo will support LDAC in the future, according to MyDrivers. 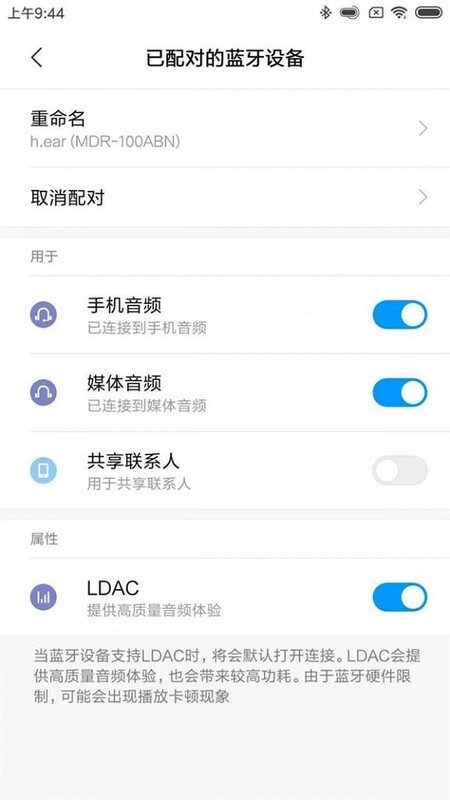 According to the report, all development builds of Android Oreo for Xiaomi devices come with LDAC support, which will then arrive in stable builds later on. Installing a developer build will allow you to test it out now if you want. 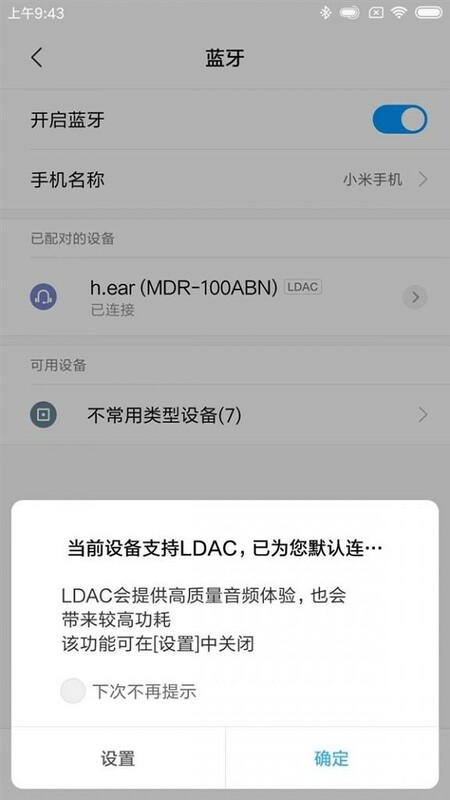 LDAC is a lossy audio codec developed by Sony for use in Bluetooth devices. It launched with Android Oreo as part of AOSP and has a much higher bitrate than was previously possible with Bluetooth audio. You can transfer audio data at a bitrate of 990kbps, pretty high for music listening. Admittedly, LDAC is really only useful for lossless music streaming but it’s still a cool addition to Xiaomi’s phones. 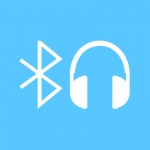 Will you need it streaming music to a Bluetooth speaker? Likely not. Will you need it when listening to lossless music on your high-end headphones? Maybe. And that’s the other issue – you need wireless technology that supports LDAC. Most headphones don’t, as it’s a technology reserved for some of the much higher-end headphones. LDAC is better than Qualcomm’s aptX though, and still better even than aptX HD. Regular aptX tops out at around a 352 kbps bitrate while HD ups this to 576kbps. Admittedly, aptX is touted as being low latency, and it’s likely something that it does have over LDAC. For regular music listeners, though, neither of these options matter. Most files you’ll be listening to will top out at a bitrate of 320kbps, such as mp3 files. FLAC is where this particular technology shines though, as any CD rips that you take yourself and convert to FLAC will likely not exceed 920kbps. This is a great addition for audiophiles, but anybody else really won’t benefit too much. It’s great to see Xiaomi pulling features from AOSP, though, especially when they don’t have to.